The New Insignia is all about smart vehicle architecture. The result is a more athletic appearance, spacious interiors, an improved road stance and class-leading aerodynamics. Available in two body styles - the 5 - door hatchback and Sports Tourer Estate. With a sleek, low profile and a dynamic, coupe- like appearance, Insignia Grand Sport has a look that effortlessly turns heads. Class-defining headlights provide superior visibility and safety, with a 32-array LED beam that self-adjusts to avoid dazzling other drivers. A range of distinctive alloy wheel designs add a sharper look to your Grand Sport, whichever model and colour you choose. To help you stay organised, Insignia provides plenty of storage ideas for your essentials, as well as split-folding rear seats for larger loads, luggage and equipment. First-class interior design creates more space for you and your passengers to stretch out, relax and enjoy the journey. Adaptive Cruise Control safely maintains your distance behind other vehicles by controlling the accelerator and brakes automatically. Stay focused with smart tech that projects information - such as your speed, sat nav directions and road-sign alerts - onto your windscreen, directly in your line of sight. With key-less entry and ignition control. All you need is a smart fob and sensor. Speak to an expert advisor and book a hotel, find a nearby car park or call the emergency services - all at the touch of a button. There's also a fully integrated 4G Wi-Fi Hotspot for fast online access. Our range of high- efficiency engines all deliver an impressively dynamic driving experience - as well as impressive tax savings if you're a company-car driver. This is not a car - this is New Insignia. 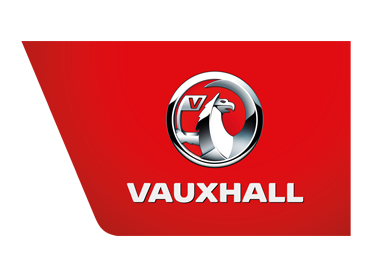 Book your appointment today, visit your local Charles Hurst Vauxhall dealership today in Belfast, Lisburn, Portadown & Chimney Corner.